Today’s professionals rely on investigative firms to help manage risk by detecting and preempting problem situations. As a nationwide leader in Insurance, Workers’ Compensation, Liability and Human Resources Investigations, managing risk is an area where APEX Investigation® excels. Not only do we have experience investigating tens of thousands of cases, we also adapt to the ever-changing laws across the country—from state to federal—that impact our clients. 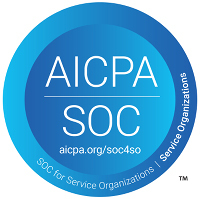 APEX Investigation has completed a comprehensive 2018 SOC 2 Type II Audit for all critical trust services criteria including Security, Availability, Confidentiality and Privacy Principles. At APEX, these core principles form an integral part of our day-to-day operations and business philosophy. The Security, Availability, Confidentiality and Privacy of your data is of paramount importance to us. Please feel free to contact us if you have any questions, for more information or to request a copy of our latest SOC2 Type II Audit Report. © 2008-2019 APEX Investigation®. All rights reserved.